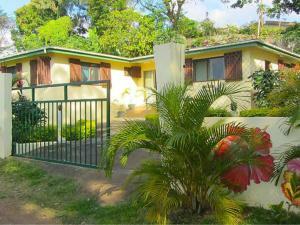 Warwick Le Lagon - Vanuatu is conveniently located in the popular Nanguile area. The hotel offers a wide range of amenities and perks to ensure you have a great time. 24-hour front desk, express check-in/check-out, luggage storage, Wi-Fi in public areas, car park are there for guest's enjoyment. Some of the well-appointed guestrooms feature internet access – wireless, air conditioning, heating, wake-up service, desk. The hotel offers various recreational opportunities. Friendly staff, great facilities and close proximity to all that Port Vila has to offer are three great reasons you should stay at Warwick Le Lagon - Vanuatu.